Why Is Good Design So Damn Expensive? This just in, supercars are expensive. Hard hitting news, I know. I’ll give you a moment to collect yourself. But have you ever asked yourself why? Well, exotic materials for one. Carbon Fiber has gotten cheaper and easier to produce, but you won’t see it in the next Camry in the near term. So that CF tub sitting underneath your uber-expensive supercar wasn’t cheap to produce. Nor were the high end materials that make up its engine, suspension, and other internals that are stress tested for incredibly high horsepower, torque, speeds, G-forces, and temperature. Oh and that curvaceous body, wide and low slung, that must be expensive too, right? It appears to be. But why? Why is design so damn expensive? Why can’t normal cars have the flash and flair of exotics? Why can’t normal people with normal jobs drive something curvaceous and low? Let’s take a look at what goes into the design of a high end supercar. An obvious starting point, the design must come from some talented person’s brain and end up molded into clay and modeled on a computer. 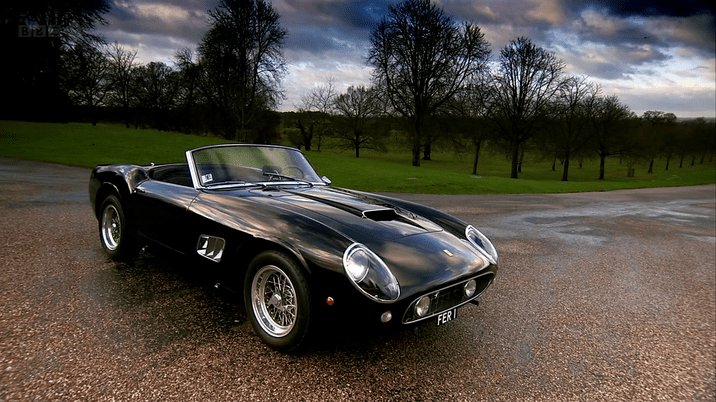 Sometimes they are done in-house, and other times they are farmed out to design shops like Pininfarina, who have penned many famous Ferraris from classics like the 250, through legends like the F40, and even the modern day 458 and F12. Unless Enzo worked out some sort of “rent control”-like agreement with Sergio back in the early 50s, that doesn’t come cheap. Lamborghini has in-house design for the most part and relative upstart Horacio Pagani designs his own damn cars thank-you-very-much. So there are a lot of talented people out there who get paid well to design cool cars. So I would agree that new, fresh, clean sheet designs will cost an automaker a lot of money. But we are many decades from the genesis of supercars, something like the the mid-engined Lamborghini Miura. Haven’t we documented the formula by now so that it’s not quite as expensive to produce? At last from an aesthetic standpoint. But it’s been done at a more affordable level in the past. Sort of. The NSX has long been known as the benchmark for alternative-exotic, something that came from a more “pedestrian” company that made the automotive world rethink what a exotic car was. It had the low, wide look (as the RFD founder, and former NSX owner Josh will tell you, it wasn’t really either of those). But Honda has a dirty little secret. They went to the same well initially that Ferrari drinks from, Pininfarina. 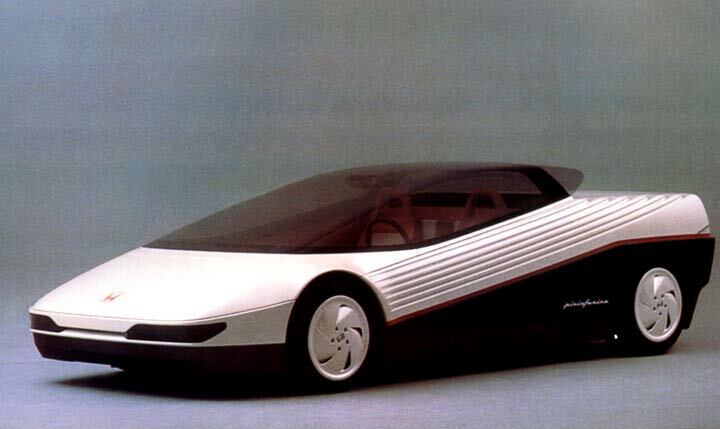 They penned the Honda HP-X (Honda Pininfarina eXperimental) concept in 1984. This concept eventually evolved into a prototype sports car called the NS-X, which stood for “New”, “Sportscar” and “eXperimental”. See what they did there. The production iteration of the NSX came from an in-house team led by Chief Designer Ken Okuyama and Executive Chief Engineer Shigeru Uehara. And as you can see from the HP-X below, they brought it a long way to the production version of the NSX we know and love. The 1990s brought us a treasure trove of what I could call cars with “exotic” design attributes but more mainstream prices. The MKIV Toyota Supra, FD Mazda RX-7, Mitsubishi 3000 GT, Nissan 300ZX; these cars brought us classic long hood, aggressive styling that we hadn’t seen in awhile. Even the diminutive MR-2 (which was also in the correct mid-engine configuration) had the right proportions and I would argue that the 2nd generation (W20) MR2 Turbo got it the “most right”. Mid engine, turbocharged, it just looked low and fast but it wasn’t incredibly expensive. One of my other favorites also hails from Japan, the Tommy Kaira ZZ. A car that’s been resurrected by a Japanese company called Green Lord Motors in partnership with Kyoto University. It’s a fresh, and electric, take on a 16 year old sports car (from an aftermarket company) that never was. Proof that it’s still possible. Other notables throughout history were Chevrolet’s Corvette, and to a lesser extent the Ford GT. While not free, the GT was a fraction of the price of Italy’s best and just as quick. I guess that’s why this next generation won’t be so cheap. So what is stopping modern day automakers from producing something low, wide, aggressive, but mass produced? If you Google Image Search “affordable supercar” you find, well, lots of expensive supercars. We can do better. Derivative styling. I know, it sounds like a sin, but hear me out. If you could drive something that looked like a Huracan, or a 458 Speciale, and I don’t mean carbon copies, but had the same general look and proportions, would you? Now, they may not be as fast, but they would cost a lot less. I mean a LOT less. Toyota has done it with the aforementioned MR2, heck even Lotus and Porsche have done it with the Elise and Boxster respectively, albeit not quite as inexpensive as I’m talking. What if VW sold a $25,000 baby Audi R8? It might have the engine from a Golf, and no real exotic materials to speak of, but I have to imagine people would buy them. Or are they, the manufacturers, too scared? Is this all a big conspiracy amongst the major automakers to keep big design in league with big pricing? Are the Chinese, and kit car makers, our only hope? I sincerely hope not, because Chinese cars are crap and the world’s Pontiac Fiero supply will run at at some point. And then what? Toyota Corolla based kit cars? Stranger things have happened, and if they could produce something that looked like a Lexus LF-A out of a Corolla and keep the price down, I’d go look at it. So internet, please tell me why this won’t work. This is where we excel, telling others why their idea is incorrect! I’m sure I am missing something. You could pay a college automotive design student who loves supercars to draw you something interesting, if a bit a lot derivative. You could use a parts-bin approach for the engine, suspension, etc. So it may not be supercar fast, but give it a standard forced induction engine sourced something you are already producing, ala the 90s approach, and people will make it fast. Ok, so producing a mid-engine, rear wheel drive platform from scratch for a newly developed, possibly single use, new car would be expensive, I’ll give you that. But would be any more expensive than the MR2 or Elise (which was expensive in the US but not necessarily overseas, depending on iteration and spec)? To keep leaning on Toyota, a company with the resources to do this, take the GT86/FRS/BRZ platform and give me something that looks like the LF-A clone I was looking for. And don’t change anything else. Now is it too expensive? It’s certainly not quick, but as I said, we can fix that on our own. So how would you bring exotic supercar looks to the mainstream?